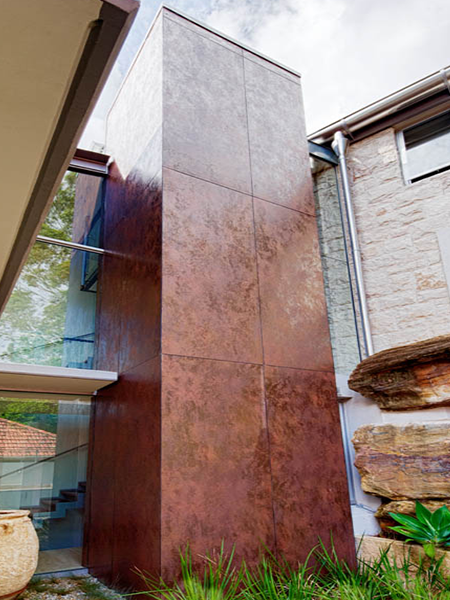 This contemporary residence is set on a steep block of land which rises to superlative views over the harbour. 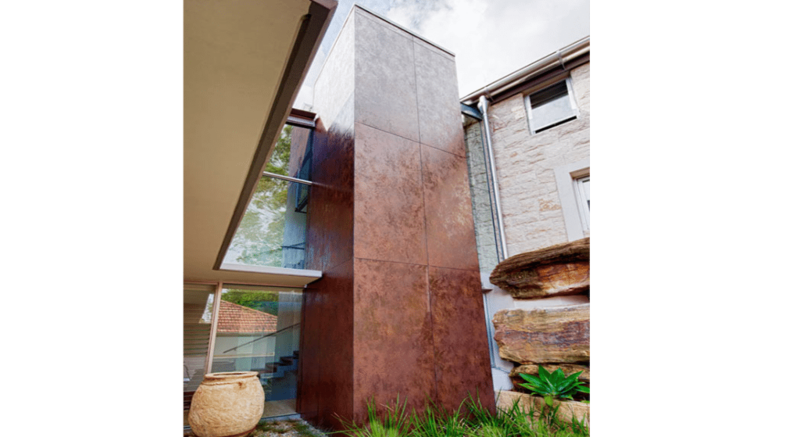 When designing the home, architects utilised an articulated building form to follow as closely as possible the contours of site. 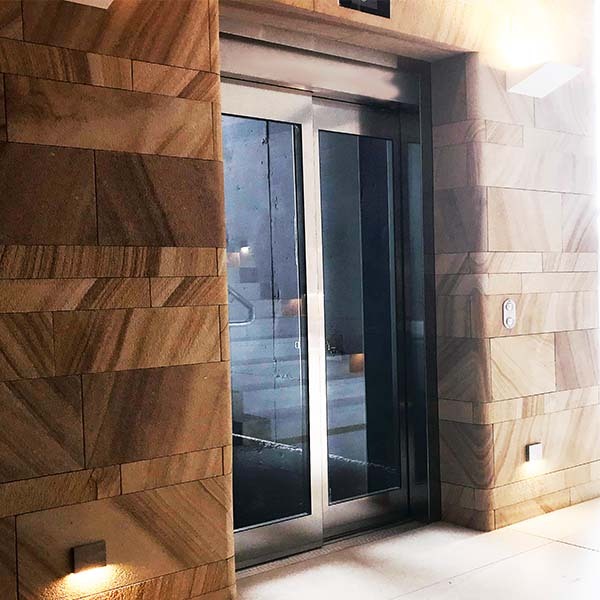 Holding tightly to the hillside, the home’s living areas are lined with large areas of glazing that capture crystal-clear views over the stunning surrounds. 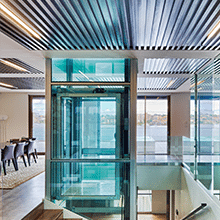 “The building interior should form a backdrop to the views of the harbour,” explains the architect, Mr Wakerman. 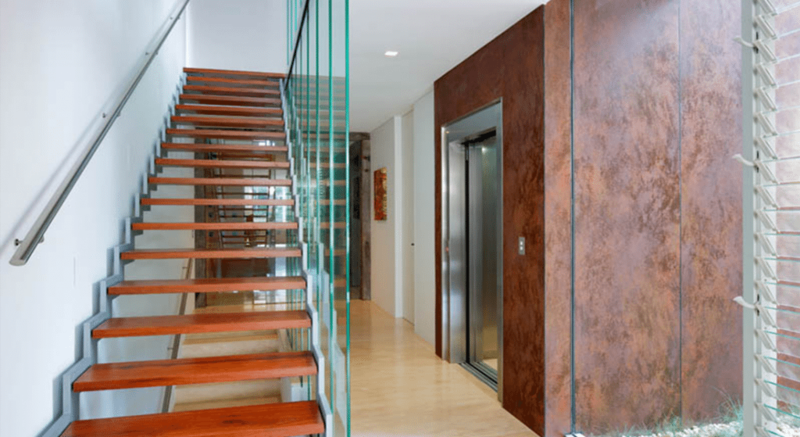 “The large areas of frameless glass provide a lens.” To ideally orient living areas toward the views, the design was spread over four levels with vehicular access from the highest level. 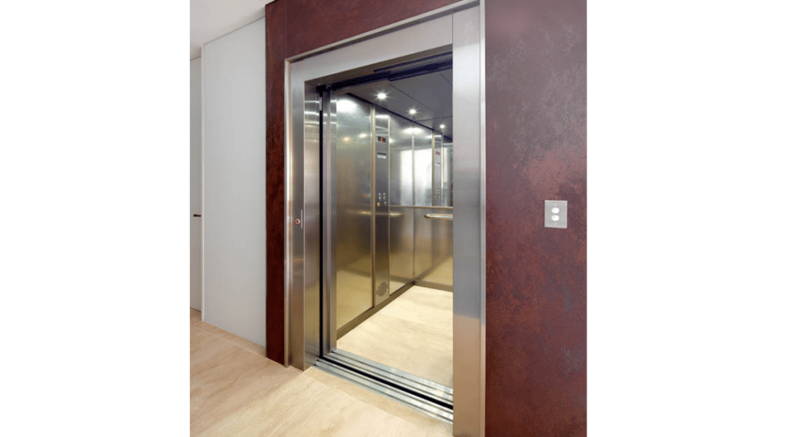 Easy movement between these levels was devised by the architects in association with Easy Living Home Elevators. 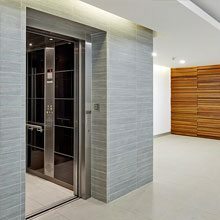 From the highest level, a fully automated lift provides vertical access from the garage to the kitchen, pool and living areas located at the lowest level. 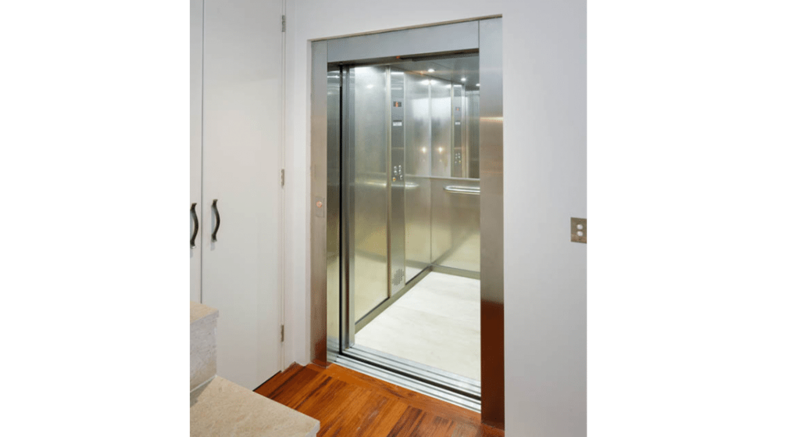 The elevator design reflects the interior detailing found throughout the home, with stainless steel doors, mirrored and stainless walls and careful stone finishing. 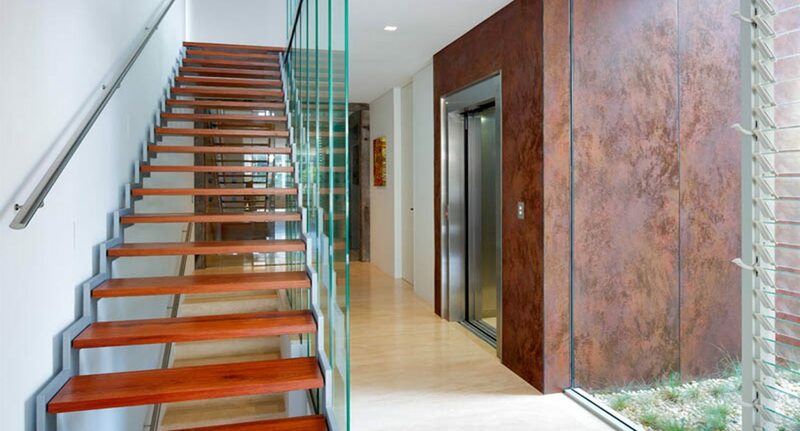 Once downstairs, a large open-plan living area leads out through frameless glass folding doors to a generous terrace bordered by a swimming pool. The pool in turn forms the horizon line to the waters of the harbour. 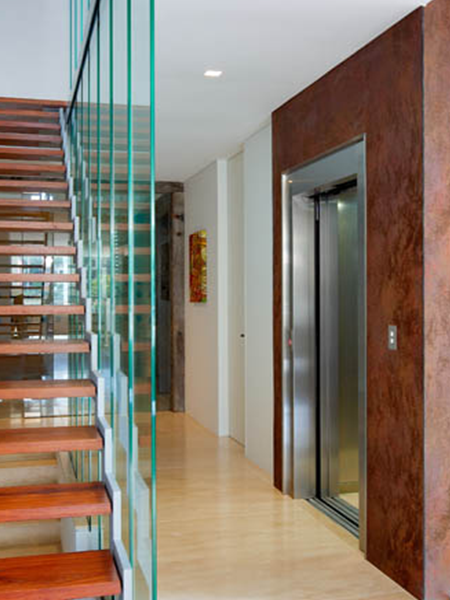 A smart system, which controls everything from lighting to security and audio/visual, operates the home. 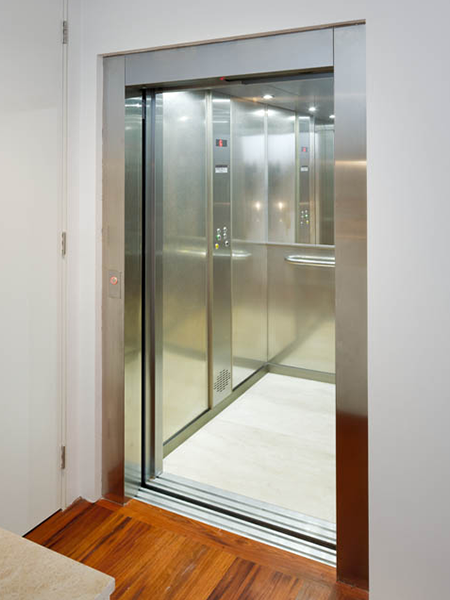 Easy Living Home Elevators can help you realise your dreams for your home space. 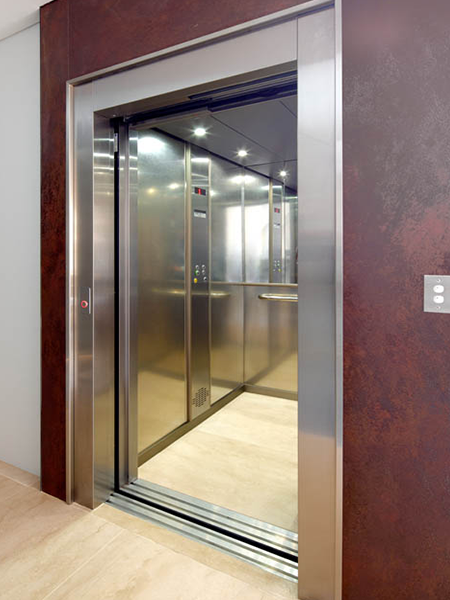 Customisable options ensure that your unique project will be a success and our personalised service guarantees satisfaction. 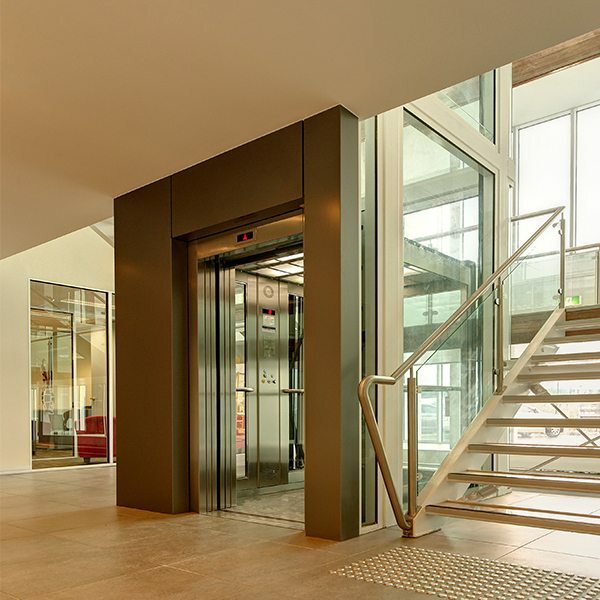 If you’re interested in going for a ride in our DomusLift, why not pop in to one of our impressive state of the art showrooms and displays in Brisbane (Bowen Hills), Sydney (Willoughby), Melbourne (Collingwood), Adelaide (Home Ideas Centre) and Perth (Redcliffe).